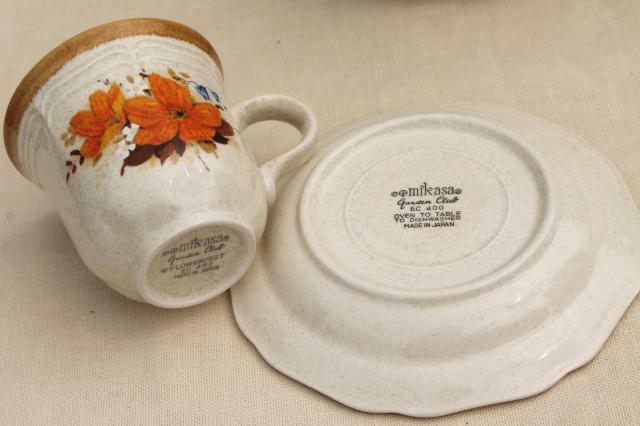 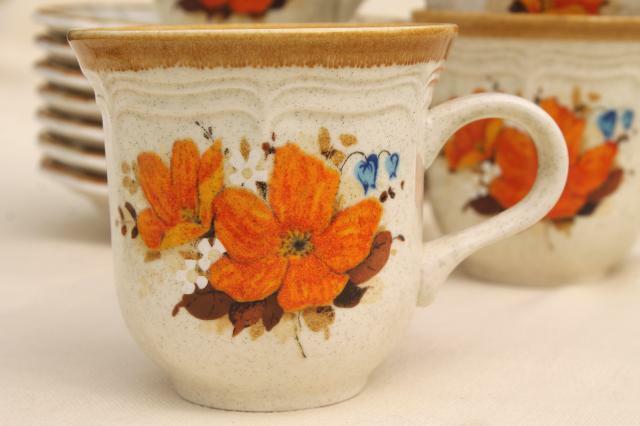 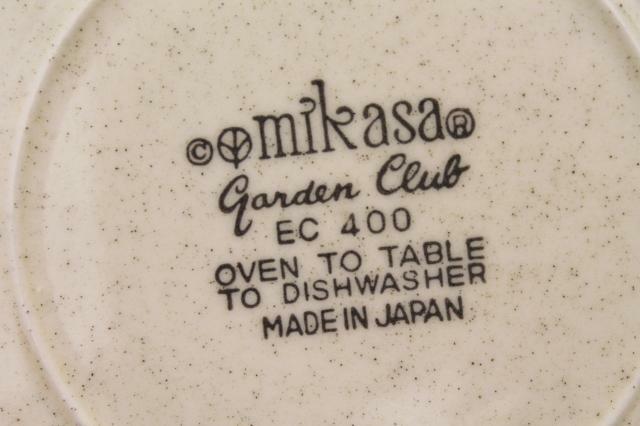 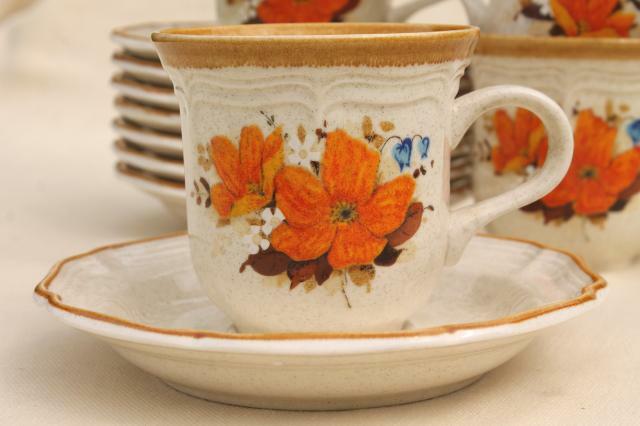 Late 70s or early 80s vintage FlowerFest Garden Club Mikasa cups and saucers - good heavy cups perfect for coffee or tea. 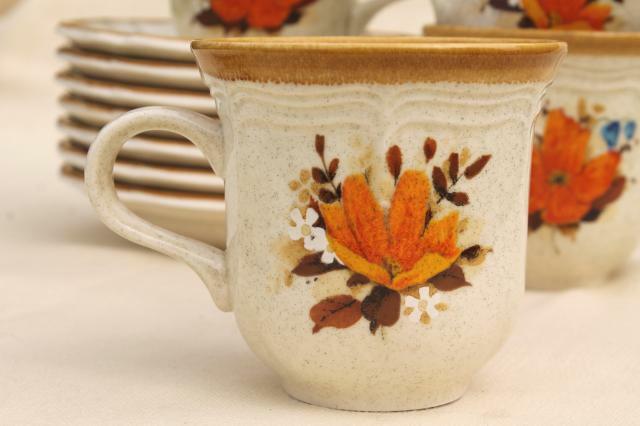 We love this retro floral pattern! 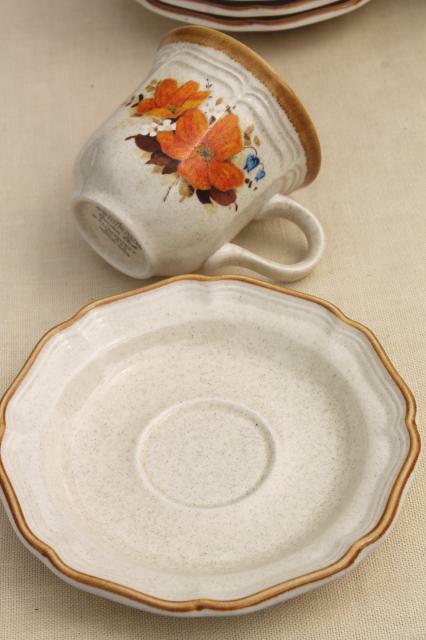 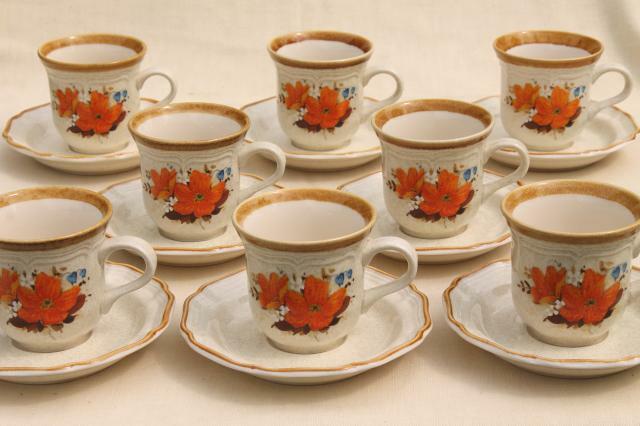 This is a set of eight cup and saucer sets (cups about 3 1/2" tall). 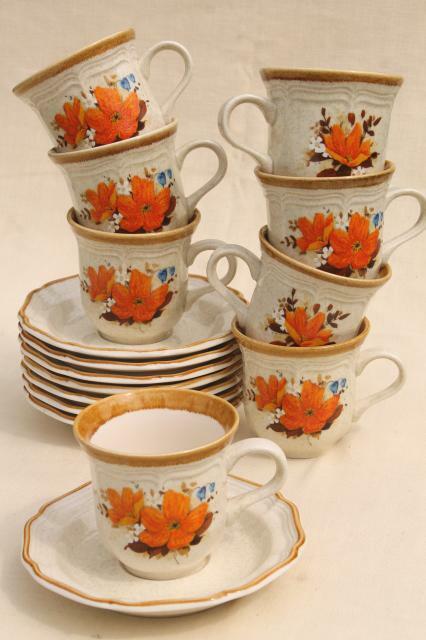 These are are in excellent condition, clean and nice without chips or cracks.